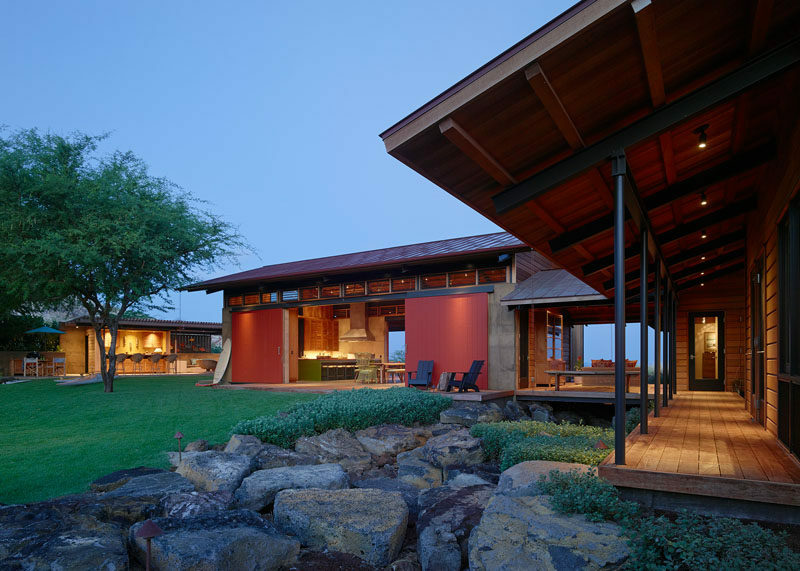 California based Walker Warner Architects, have designed Kahua Kuili, a house on the Big Island of Hawaii, that’s a contemporary interpretation of a classic Hawai’i summer camp. 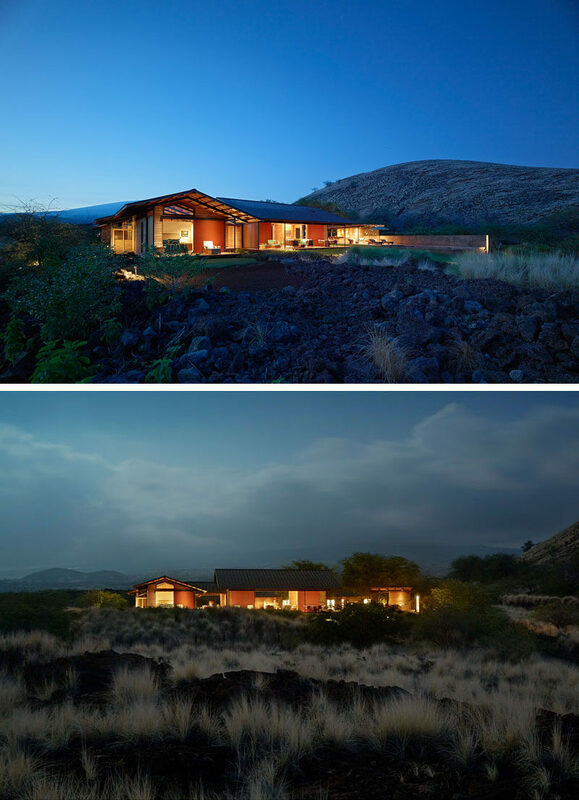 The property was originally used for ranching, but over time the owners let it return to its natural state with a mix of lava and grasses. The property is made up of a variety of hang out spots that allow the residents to easily interact with each other. 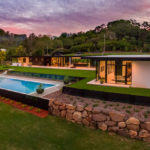 Materials like board-formed concrete, western red cedar, over-sized sliding doors, operable wood ventilation louvers, and rope lashing, have been used throughout the home. Inside the main building is the living room, dining area and kitchen. 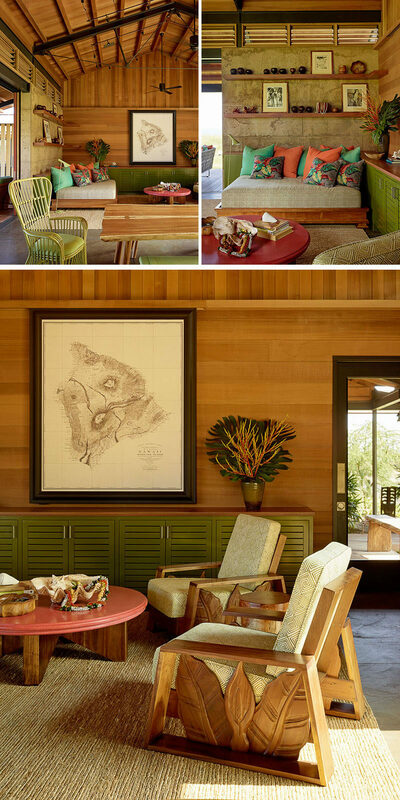 The interiors have been designed by Marion Philpotts, where she used bright colors and retro elements to create a contemporary and relaxing space. The large room is open on both sides to allow the breeze to flow through and makes it possible to have indoor / outdoor living. In the kitchen, green cabinets add a pop of color, while large windows provide ample natural light and let views of the other nearby gathering places be seen. 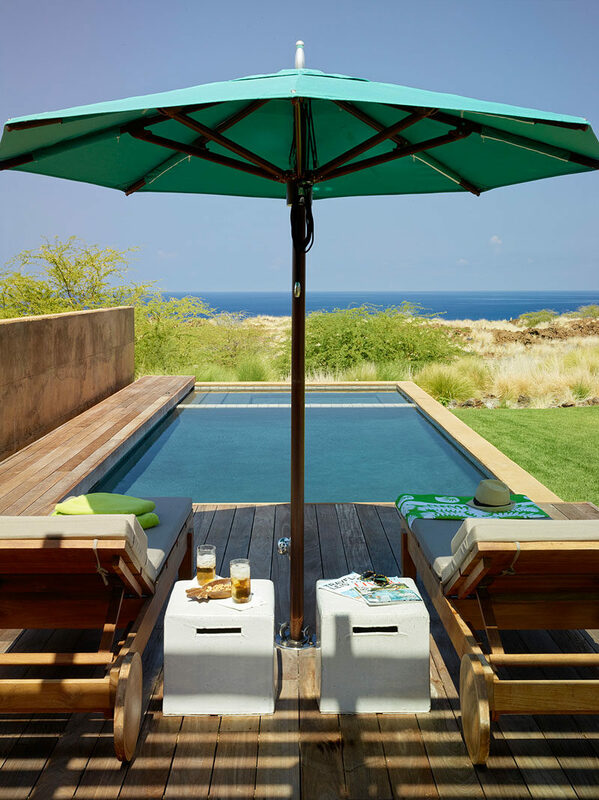 On the property there’s a pool with views of the Pacific Ocean and Kua Bay. Connecting to the pool is a cabana. The cabana is home to an outdoor lounge area, bar seating and an outdoor kitchen. At the opposite end to the pool, there’s an outdoor dining area under the trees. 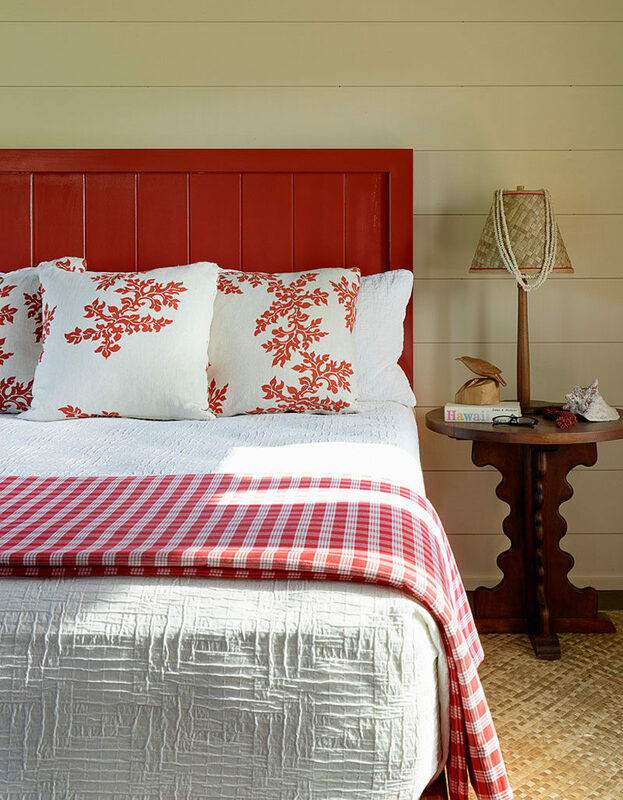 The bedrooms are located in separate buildings, and in this bedroom, red has been used to brighten up the other more neutral tones. In the bathroom there’s a wood vanity with exposed shelving, and through a doorway, there’s a deep wood soaking tub with views of the surrounding landscape.